John McCusker tunes and my favorite note of the day: high G! I’m half way through our month long residency in Houston. I’ve made it to all 3 Houston pipe band practices, namely the Houston Highlanders, Bayou City Pipes and Drums, and the Montgomery County Pipe Band. I hope to hit each band’s rehearsal at least one more time before heading out of here. All are really nice guys so if you’re ever in town go check them out. We spend the weekends at the in-laws place in Humble. You’ll recognize the background as the same room I recorded my Online Bagpipe Competition submissions in. What follows are some videos I posted to YouTube recorded with my iPhone. 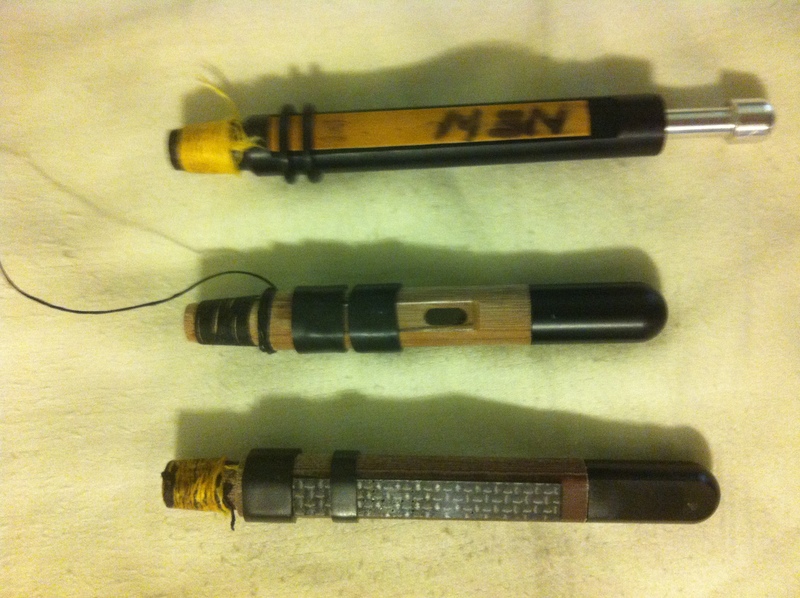 I’m playing my Gellaitry pipes with Kinnaird drone reeds and my blackwood Colin Kyo chanter with a Gilmour reed. The first video starts with a set of John McCusker’s tunes, Leaving Friday Harbor followed by Wee Michael’s March. I hear they are to be published soon, thankfully, as I’m unsure of the setting I have for Leaving Friday Harbor. I’m sight reading, hence why I’m looking down at the bed. I notice how lovely the high G is sounding and I blabber on a bit about that and then play some traditional Irish reels that emphasize the high G note. Lastly, I felt like revisiting the old MSR played by Lyon College back in 2001 when we won the Scottish Championships, then held in Dumbarton. The tunes are Highland Wedding, Ewe with the Crooked Horn, and Captain Lachlan MacPhail of Tiree. Not the greatest playing by my usual standard, but oh well. I also played about 25 minutes worth of 4 parted jigs but I don’t think I made it through one of them without making some big mistake, so I’ll spare you the agony of listening to that, though YouTube does allow videos longer than 15 minutes now. That’s it! The recording conditions were all the same but there were still some unavoidable volume differences due to slight changes in standing position between switching out drone reeds. I’ve stated in the past that I didn’t think Crozier’s classification of their glass tongued reeds as mellow, as they certainly aren’t ‘soft’, but they are mellow compared to quite a few other reeds. The tenors don’t put off a whole lot of overtones so you get a more blended sound. So, if you’ve got Henderson’s and you don’t want to lose the volume but you want a more MacDougallish sound, Crozier glass are what you are looking for. 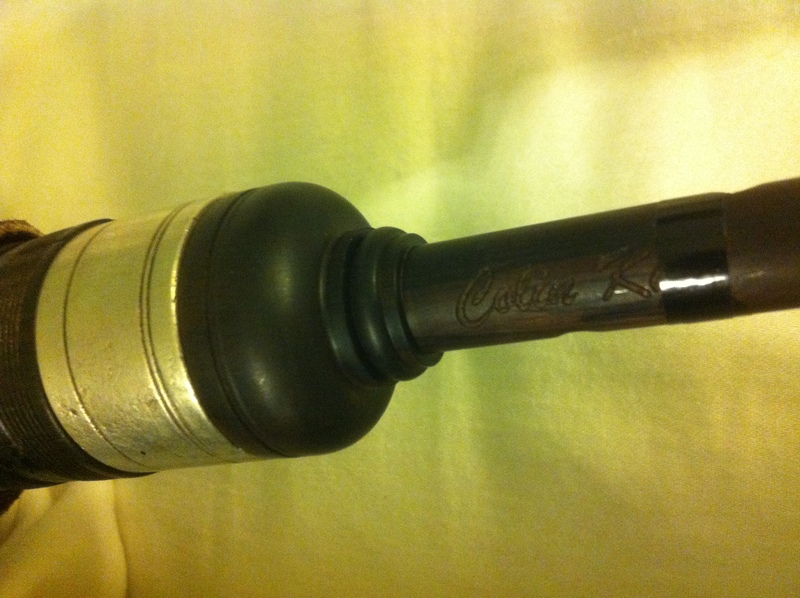 As such, the recording below with tunes is with the Crozier glass. Chanter is a blackwood one with a Gilmour reed. 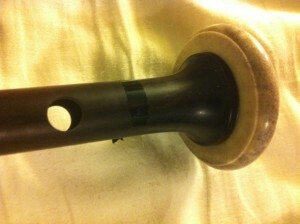 I found the Colin Kyo bagpipes very nice and had what I consider a classic Henderson tone. Very steady and I wish I had one! A few other notes. I got the idea for the orthodontic bands (and the link) from a post by Jori Chisolm on the bobdunsire.com forums. Quite often, you’ll start a new reed and it will have a flat C and F. The remedy is to squeeze the reed a little and that will bring them up. 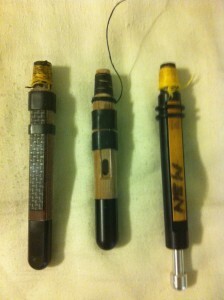 Well, okay it might, usually the reed has to be a little wet for it to work. Well, Lubbock is so dry, it doesn’t really work here. So, get an orthodontic band on there (2 wraps for light pressure, start about the middle of the reed or just over the ridge for a ridge cut) just to close the reed lips just a tad to bring the C and the F right up to pitch. As the reed breaks in and the C and F go sharp, just pull the bridle down further and further until you don’t need it anymore. This also works well starting with slightly harder reeds as it will ease them up just a tad as well, which is nice. So, a shout out to Jori, THANKS!!! Also, gotta hit up my main man Murray Huggins over at Colin Kyo bagpipes. 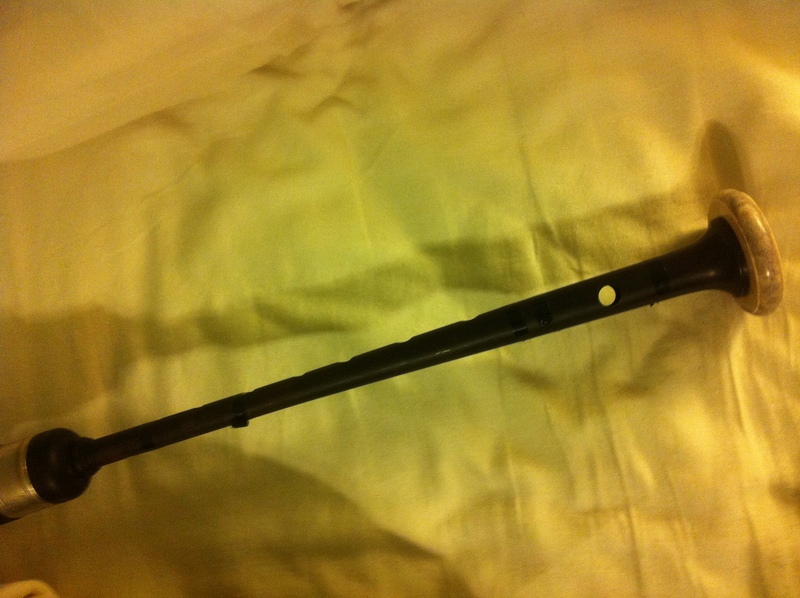 The chanter I played was one I was setting up for a band mate, his solo chanter. Ah, it’s beautiful and it sounds great too. Cheers Murray! 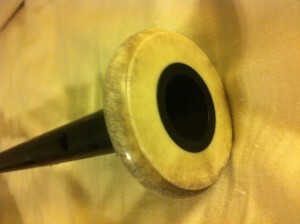 Check out pictures of the chanter below.